ABR v. Recon: What are the Best Tactical Shoes for You? What Are Tactical Boots Used For? 6” Boot vs. 8” Boot: Which Boot is Best for Your Job? 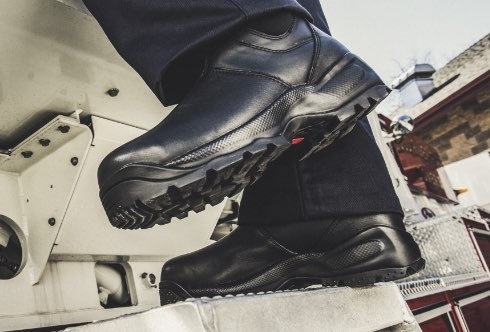 Police, military service members, and other tactical operators are expected to sport mirror-finish tactical boots. Even if you aren't required to shine your tactical shoes, there's nothing more polished than a spit-shine finish. 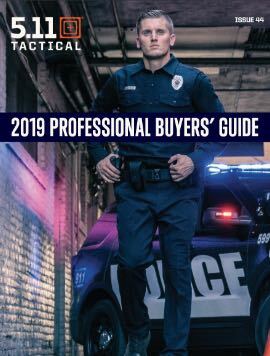 The experts at 5.11 Tactical® weighed in to create this easy, step-by-step guide on how to shine tactical boots for formal events and daily wear so you can always put your best foot forward. Before you start shining your tactical boots, give yourself some room to work – this process can get a little messy. Grab an old bedsheet, towel, or shop rag and cover your workspace in case you have a shoe polish catastrophe. To get the perfect shine, you need a good foundation. Prepare your boots for polish by removing dust, dirt, and debris from the upper and sole using the horsehair brush. Slightly dampen a horsehair brush – not one with synthetic bristles that can scratch your boot’s surface – and use gentle, back-and-forth motions to brush away any particles that shouldn’t be there. Apply a thick layer of polish in small, circular motions with a soft cloth. Let the base coat dry for 15 minutes. Thoroughly brush the boot or vigorously scrub it with a clean, dry cotton cloth to remove excess polish. Don’t expect a great shine yet – a base coat smooths out the leather’s bumps and irregularities so you can get a spit-shine finish later. Let the base coat dry for another 5 minutes before moving on to the final step. Wrap the tips of your index and middle fingers with a soft, clean, dry cotton cloth. Pick up a small amount of polish with your covered fingers, and apply the polish with small, circular motions all over the boot, picking up more polish whenever necessary. Complete the previous step on the other boot. Switching back and forth between boots allows each boot to dry between steps. Dampen a new clean cotton cloth in water, wring it out, and wrap it around your index and middle fingers as before. Dampening the cloth prevents it from absorbing polish. For an old-fashioned spit shine, you can use your own saliva instead of water. With the damp cloth wrapped around your fingers, pick up a small amount of polish and rub it into the boot using small, circular motions. When the polish turns grey or stops transferring to your boot, shift your fingers to a new part of the cloth, pick up more polish, and repeat until you've covered the entire boot. Switching back and forth between boots, apply six or seven coats of polish with the dampened cloth, re-dampening as necessary. You’ll see the boot’s hazy shine become glossier and more even each time you add a new layer of polish. After all the polish is dry, use a clean, dry cloth made from cotton or nylon to buff your boots. Finally, stare at yourself in your perfectly shined tactical boots and pat yourself on the back for a job well done. Keep in mind that your tactical boots need a smooth foundation with a thick base coat before you’ll get a mirror shine. These instructions on how to shine tactical boots need to happen in the right order or you won’t get the gleaming finish you’re after. Use small, circular motions in every step. Work with the thinnest layer of polish possible. The first shine is always the hardest – after that, you’ll have a solid base coat and the process will become faster and easier. Got a pair of suede tactical boots or shoes? Read our FAQ for tips on cleaning 5.11 Tactical boots that are made with suede.